Should Your Food Truck Wrap Show Your Actual Food? 09 Apr Should Your Food Truck Wrap Show Your Actual Food? 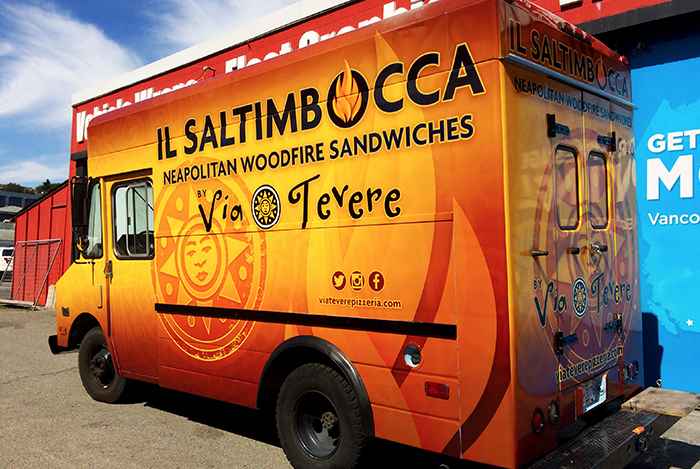 Your food truck wrap can be a great way to gain customers, and you can use the advertising space on your truck wrap as a means to entice customers. When displaying your menu options, you should keep the following things in mind. It is good to show customers a true-to-life version of what they will get when they dine with you instead of showing them something that goes way beyond what you actually offer. Wow your patrons rather than disappointing them, and you will be sure to have repeat business. Certain food trends are hot right now, like gluten-free, vegetarian, and vegan cuisine, and you’ll want to show potential customers that the mouth-watering food you offer meets the requirements for whatever niches you purport to fill. If you are famous for a certain type of homemade bread, for example, or a robust-flavored barbeque chicken, you can hire a photographer to take high-quality images of the fresh ingredients you prepare when making your signature dishes. These images will tell a story and put customers in the mood for whatever it is you’re cooking.